Statue of Liberty under construction. That’s what I’d love to go see. Amazing art happening right before my eyes, by mastersmiths. Truly a trip worth taking! So, is that Unger brooch cast or carved? Whatever it’s gorgeous. Wouldn’t it be nice to be a fly on the wall and watch that being created. Do you remember that PBS video of the repairs to the statue of Liberty. 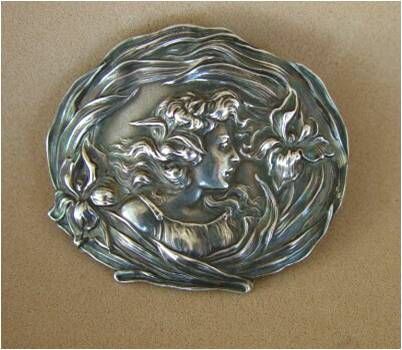 That really struck home to me the work & skill that goes in to a piece of repousse. Just a hammer, a pitch bowl and an artist metalsmith. I enjoy all of your posts, but most especially your Vicarious wanderings… As it will probably be a very long time before I set sail on a real vacation- I thoroughly enjoy dreaming about them with your writing!